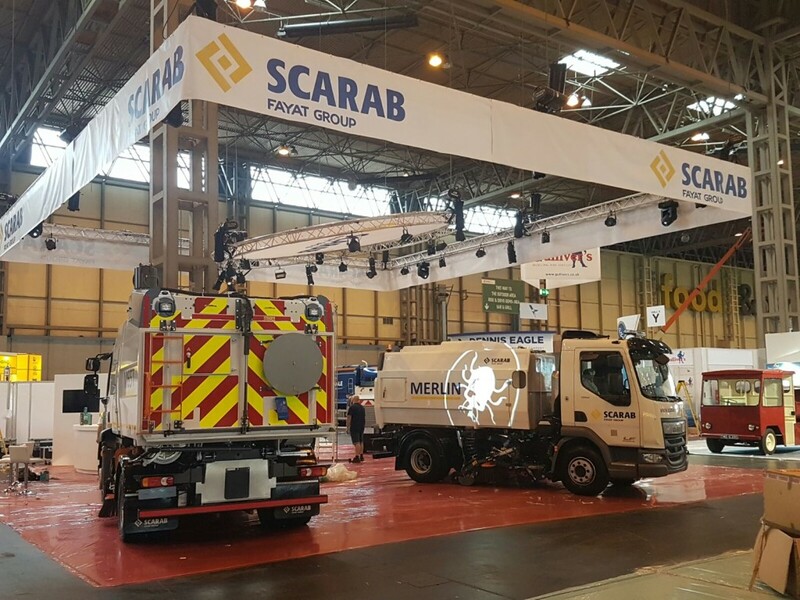 Exhibition Stand & Set, Scarab Sweepers, NEC Birmingham | R.S. 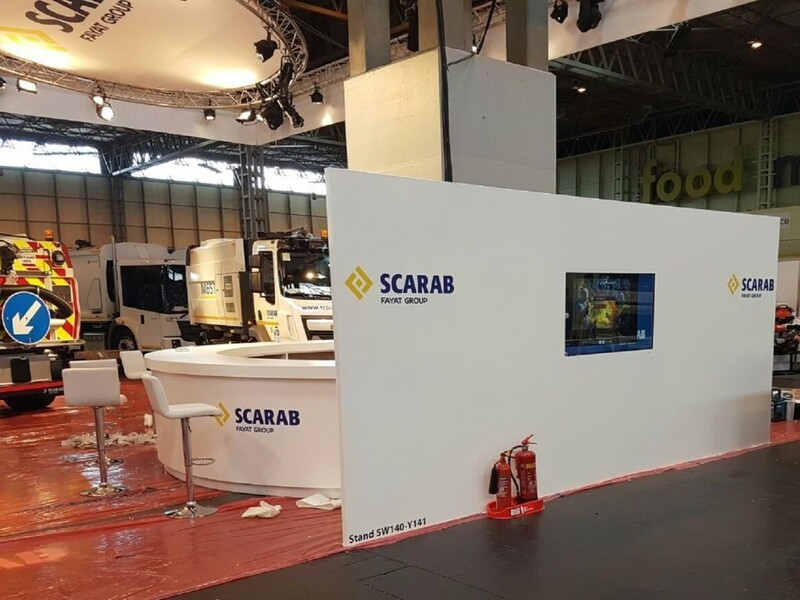 Sets Ltd.
Utilising the existing modular, re-usable exhibition stand built by ourselves for previous shows, we once again installed the main set and stand for road sweeper manufacturer Scarabs at the RWN Exhibition. 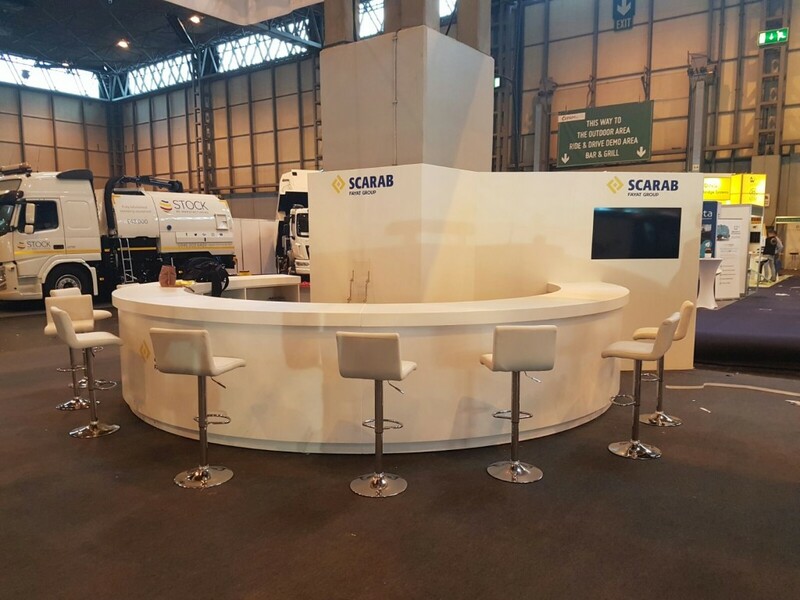 The event, held at Birmingham’s NEC in September 2016, provided the ideal showcase for the brand’s show-stopping trucks, positioned this year in a centralised splayed design resulting in a focused emphasis for clients and sales reps manning the stand, supported by the lighting and production management of our partner STL Lighting. 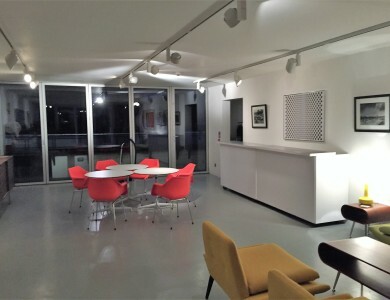 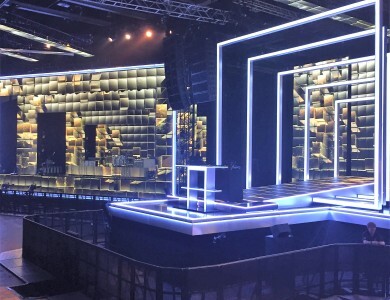 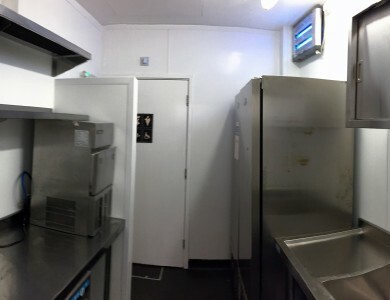 The set – pre-built at our workshop in Alton, Hampshire and refurbished and re-designed to create larger storage areas and a feature wall – enabled Scarabs to highlight their product’s innovation, technology and quality.